Some pieces of malware Viruses, Spyware, Malware, etc. Explained: Understanding Online Threats Viruses, Spyware, Malware, etc. 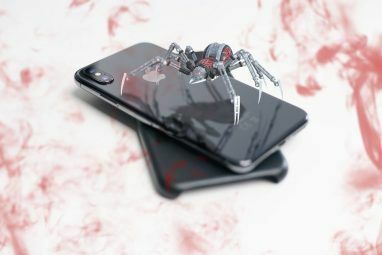 Explained: Understanding Online Threats When you start to think about all the things that could go wrong when browsing the Internet, the web starts to look like a pretty scary place. Read More just refuse to die. They hit the scene, infect a lot of people, draw a lot of attention, and are defeated . . . but then they come back. Browser Warden is one of those pieces of malware. It serves up really annoying ads, and absolutely will not go away. If your computer’s been infected with Browser Warden, it’s time to put an end to it. Here’s how to get rid of it—permanently. Browser Warden is a piece of adware, as is its cousin Web Warden. 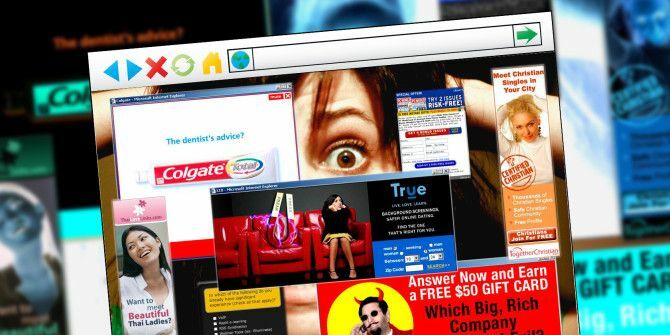 Adware is a small program that lives on your computer and serves up a bunch of ads when you’re on the Internet. These ads can manifest as pop-ups, pop-overs, or even as links inserted into the page (you’ll notice a lot of underlined text if you have Browser Warden). As you can see from this image from MalwareTips, adware can get really annoying really fast. You may be wondering how Browser Warden got onto your computer in the first place. Most people end up with this and other adware when they download a piece of free software. Freeware often comes bundled with a number of other apps 4 Annoying Browser Toolbars and How to Get Rid of Them 4 Annoying Browser Toolbars and How to Get Rid of Them Browser toolbars just don't seem to go away. Let's look at some common nuisances and detail how to remove them. Read More , and those apps are often adware. You can easily download them onto your own computer without ever knowing (if you’re curious as to how this happens, check out Justin’s article on OpenCandy OpenCandy: The Reason You Should Never Just Click "Next" OpenCandy: The Reason You Should Never Just Click "Next" Clicking "next" repeatedly is the quickest way of installing apps on Windows - until you find you installed other programs on your computer without realizing it, thanks to OpenCandy. Let's do something about that. Read More ). If you regularly download free software, it’s important to be extra vigilant about the apps you’re downloading How To Do Your Research Before You Download Free Software How To Do Your Research Before You Download Free Software Before downloading a free program, you should be sure it's trustworthy. Determining whether a download is safe is a basic skill, but one everyone needs -- particularly on Windows. Use these tips to ensure you... Read More . Also, remember that many sites that offer many free downloads, like Softonic and CNET, have been known to offer a lot of bundled adware with their programs. The best way to make sure you’re getting a good app is to get it from a verified app store or from a developer’s website. To finally rid yourself of this troublesome pest, you’ll need to remove the program from your computer, and then remove the browser extension from all of the browsers that it’s able to infect. This might take a while, but it’s absolutely worth it. The first step is to remove the Browser Warden software from your computer. To do that, you’ll need to find and uninstall it. Go to Start Menu > Settings > Apps and Features and scroll through the list of apps until you find something that you don’t recognize. It might be called Browser Warden, but it could be called many other things, as well. MalwareTips compiled this list of potentially malicious adware apps that you should uninstall: Browser Warden, Sm8mS, Discount Cow, V-bates, PriceMeter, Supra Savings, Network System Driver, FreeSoftToday, Search Assist, Re-Markable, Zombie Alert, Wajam, Coupon Server, Lollipop, HD-Total-Plus, BlockAndSurf, Safe Saver, SupTab, WebenexpV1, Lollipop, Software Updated Version, DP1815, Video Player, Convert Files for Free, Plus-HD 1.3, BetterSurf, MediaPlayerV1, PassShow, LyricsBuddy-1, PureLeads, Media Player 1.1, RRSavings, Fraveen, Websteroids, Savings Bull, TidyNetwork, Search Snacks, MediaBuzzV11, and Re-markit. Once you’ve found the offending app, click it and the hit the Uninstall button. To see a video explanation of uninstalling apps in Windows 10 and 8, see the videos above. Once you’ve deleted the offending apps, it’s time to clean out your browsers. We’ll start with Chrome. To remove adware from Chrome, click on the menu button at the end of the menu bar or click File > Preferences, and select Extensions from the left sidebar (or simply type “chrome://extensions” into your address bar). Scroll through the list of extensions, and delete anything that you don’t remember installing. If it looks suspicious, get rid of it by clicking the trash can displayed to the right of the extension name. The process is similar for Firefox. Click the menu button on the menu bar, select Tools, then select the Add-Ons Manager tab. Under Extensions, find anything that looks suspicious, click it, and hit Remove. While you’re getting rid of Browser Warden, you might want to check for these other malicious extensions 4 Malicious Browser Extensions That Help Hackers Target Their Victims 4 Malicious Browser Extensions That Help Hackers Target Their Victims You'd be wrong to think all browser extensions are designed to help you. 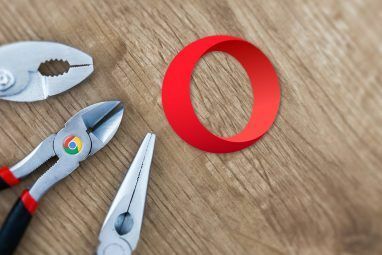 Whether extensions exploit vulnerabilities or send data to hackers, it's time to be vigilant about how you enhance your browser. Read More as well. And when you’re done, be sure to restart your browser to make sure all of your changes take effect. Once you’ve taken these steps, you should be free of Browser Warden. Just to be sure, though, it’s a good idea to run a check with an anti-malware app 3 Free Real-Time Malware Protection & Removal Tools 3 Free Real-Time Malware Protection & Removal Tools If you realize that your browsing and download habits put you at a high risk of catching malware, you should make an effort to be protected from these threats in real-time. An anti-virus tool is... Read More like Malwarebytes, which is available for free. It’ll sweep your system looking for Browser Warden and similar malware, helping you keep your computer clean. Download the software from Malwarebytes, run it, and clean up anything that it finds. Now that you’ve gotten the offending files off of your computer, you should be in the clear. Just make sure to be more careful when you’re downloading free software 14 Free & Open Source Alternatives For Paid Software 14 Free & Open Source Alternatives For Paid Software Don't waste money on software for personal use! Not only do free alternatives exist, they most likely offer all the features you need and may be easier and safer to use. Read More next time! Look up reviews, avoid sites like Softonic and CNET, and keep an eye on the files installed on your computer to see if anything snuck in with your new software. Check the Apps and Features window and your browser extensions regularly for programs that you didn’t install, and get rid of them. Have you dealt with Browser Warden before? Did you manage to get rid of it? Share your experiences below! 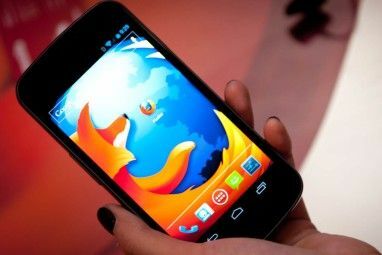 Explore more about: Browser Extensions, Malware. Your forgetting something so commonly used in a browser, and adblocker/scriptblocker. The once I use in Pale Moon (an Open Source web browser forked off from the Firefox/Mozilla code) are Ublock Origin and sometimes Adblock Latitude (a drop down replacement for ABP made specifically for the Pale Moon). There's also a new feature in Firefox called Tracking Protection, which is similar to how Privacy Badger and Disconnect works. Though this don't stop "Tile Ads" in Firefox New Tab page and up above of the far right corner. Actually, I'm not sure how much that will help. I don't think any ad blockers will help you get rid of Browser Warden, which is the point of this article, but it's possible that they keep you from getting it in the first place. Though it usually comes bundled with software, and not via ads. Blocking the ads from showing up in your browser is nice, but getting rid of the malware completely is an even better solution! That is true, but it could be in the article of "Ways prevent Browser Warden before it infects your computer." I don't, it's just thought. Yeah, that's definitely a thought. Like I said, I'm not sure if you can get it from ads or not, but running an ad blocker will certainly protect you from a wide range of things. It wouldn't surprise me if the people behind Browser Warden and things like it take advantage of that soon! A tool called adwcleaner is really, really handy for removing rogue browser addons. I highly recommend it as a starting point for any internet herpes removal. Thanks for the tip! I'll have to look into that.